It is an adventure lesson in learning to follow Jesus. Scruff, a rejected lamb who had no hope for survival, found the love of a shepherd. As she put her trust in the shepherd, she found hope and became the leader of the flock. In this story of the relationship between a lamb and a shepherd lets children of all ages know that whatever they go through in life, to keep their eyes on Jesus. He will be with them and help them every step of the way, even in very difficult situations, like Scruff. 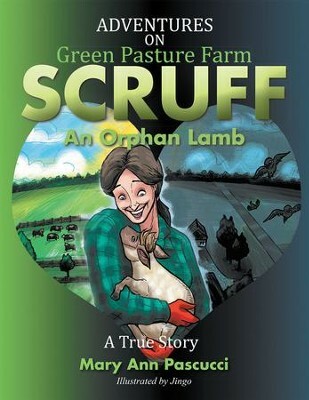 I'm the author/artist and I want to review Adventures on Green Pasture Farm SCRUFF: An Orphan Lamb - eBook.